I went into this Anime movie with barely a clue of what to expect. I knew a single fact: that this was directed by the same mind who had directed the Digimon Movie. There's even a digital realm of sorts in this film though it should go without saying that it's vastly different. Summer Wars introduces us to OZ (no, not that one), which is literally a digital world that has grown in popularity to the point that it encompasses most of everyone's daily lives. You create an avatar that allows you to travel OZ which automatically translates any form of speech or text. This quickly became popular with businesses and other organizations to where they had their own offices in OZ itself. It also helps that OZ had the most complex of any security system and so people were at ease. Our story begins with our main character, Kenji, who happens to be an admin for OZ as he's a math genius. A girl at his highschool, Natsuki, invites him to take a trip with her. Kenji finds out that this was all a trick. Natsuki simply needed a boy to pretend to be her fiance so that her great-grandmother could die happy as it was her last wish. After meeting the extended family and eating together, Kenji receives a strange text later that asks for help with a piece of code which he solves. The next morning he's greeted with finding out that he's a wanted cyber criminal as his face is on the news for hacking OZ and sending things into a spiraling chaos around the globe. I think that's enough of an intro without spoiling anything. My final impressions you ask? The short version: this was a fantastic movie. Something I feel the need to bring up from time to time is the difference between a kid's movie and a family movie. This is the latter. It's a movie that all age ranges can enjoy for different reasons. The setup almost sounds like something generic but it's how the movie plays around with the concept that stands out. It's also important to point out that this isn't a movie about OZ. It's a film about family. The strongest shining feature that this movie offers is the concept of what family truly is and how these characters respect what that means. 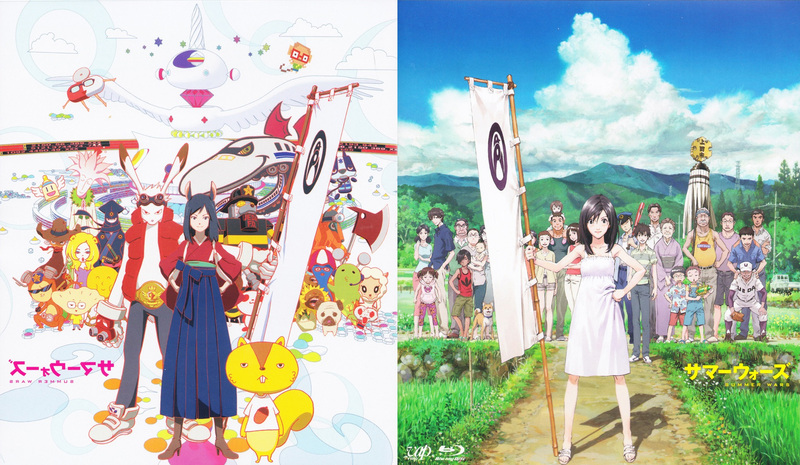 Summer Wars manages to tie Japanese history (the past), with the present (a digital age), and the future (a newcomer to the family). Summer Wars really knows how to bring out the right mixture of heartwarming moments, suspense, and slice of life. Just get ready for a little cheesyness here and there. Another strong feature is the art style and animation. Since this was made by Madhouse, they've proven themselves time and time again and this movie is yet another major piece to add to their track record. Giving the digital realm its own unique look gets extra points. In the end, I can definitely recommend this to just about anyone. It's a great family movie that deserves a look. This is Kylak signing out... as far as you know. I pretty much live on the internet.